I know this project has been widely spoken of in indie-games-land over the past few weeks, so maybe I'm just gilding the grapefruit here. 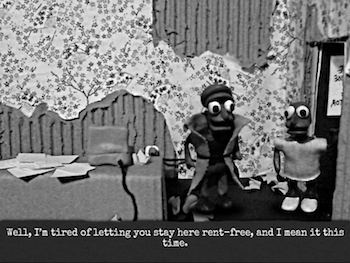 But Deirdra Kiai's indie musical claymation adventure kickstarter(*) is moving into its final week of fundraising, and it has half a progress bar still to go. The Kickstarter world is currently full of remakes, re-releases, decades-belated sequels, and other wonders of nostalgia -- do I even need to hunt down example links? Amid all this, we need some attention for new, original games by people who weren't already famous in 1995. 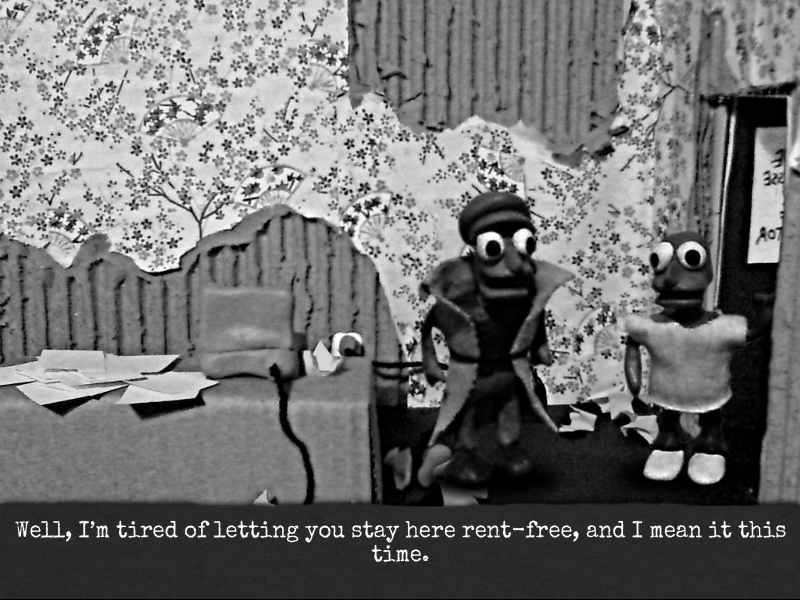 I think a stop-motion light-opera adventure game counts as original. I mean, I'm not familiar with too many games that do either of those things(*). And if you're still hooked on nostalgia, well, Pamplemousse is a third-person graphical adventure of the old Lucas/Sierra model. The artwork is charming; the music is charming; the sung and spoken dialogue is well-done and apropos. But this is not the soul of the matter. When I played Deirdra's last graphical game, Life Flashes By, I wrote: "Not too many authors sit down to write a straight-up high-quality story, in the interactive mode." That is what we are offered here. It will be a shame if, amid all the crowd-funding frenzy, this project gets lost on the wayside. So, please give Deirdra some money. The funding deadline is the end of August. Update: Funded, with barely fourteen hours left! Congratulations, Deirdra.